Celebrate the Year of the Pig in the cutest way possible with these bite-sized Gummy Pigs. Created especially for Lunar New Year, our new gummies are super soft and filled with juicy strawberry flavor. Dressed in a shimmery limited-edition red and gold Candy Cube, these delicious pink candies are sure to bring good fortune in the New Year. 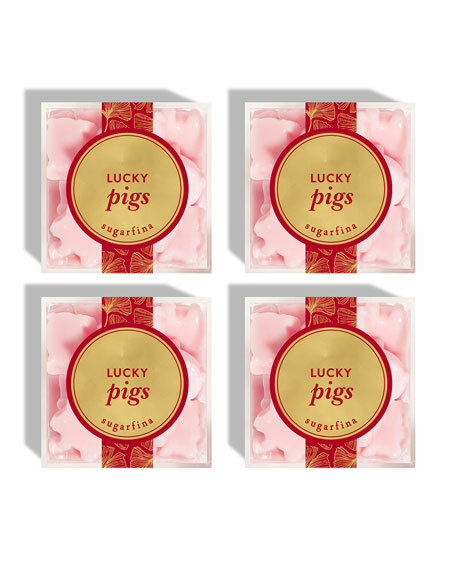 Sugarfina® cubes filled with Lucky Pigs candies. Allergen Information: Contains soy. May contain milk, wheat, peanuts and tree nuts. For in-store inquiries, use sku #2841918.